It can be totally hard to find affordable, quality Paleo food locally. Luckily, it’s getting a lot easier than it used to be. But if you don’t live in a big city, it can be almost impossible to find Paleo foods. So I thought I would help you all out and write this post about where you can buy Paleo food online. It can be hard to find grass-fed meats in regular stores. OK. Well, almost impossible. Our Sprouts carries it (it’s not my favorite tasting nor the most affordable but it is grass-fed). 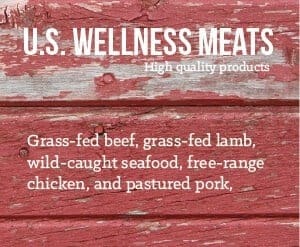 Real Foods in Utah carries but it’s expensive – I’m so happy that I found US Wellness Meats. 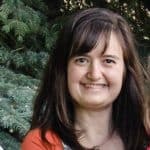 What I like about them is their costs for things are reasonable and you can also get a wide variety of Paleo foods from them, like grass-fed beef, pastured chicken, lamb, bison, duck, pork (including Whole 30 approved bacon), pemmican, trail mix, sausage, wild salmon and a bunch of other things. It’s so nice to have it all in one place. I’ve tried a lot of it over the last several years and it’s all good quality. It arrives frozen in a cooler with ice within a few days after you order. There is only a $7.50 handling charge per order and free shipping and a discount of $25 if you order more than 40 pounds (which is SO not hard for our family – especially since we’ve been trying to eat Paleo and GAPS lately). I buy lots of ground beef, chicken with bones to make stock, beef bones, organ meats, hot dogs, and ground pork and then usually throw in a few extra things to try. To order, Just click here. I’ve had good luck finding good prices on VitaCost. It’s especially useful for other items that are hard to find online and in stores, especially the items that Amazon doesn’t carry themselves. If you haven’t already checked them out, they are worth looking into so you can see if they have your favorite health foods and household items cheaper than where you’re buying them. Paleo Chocolate Chips – well, lots of people say they are Paleo. I think it’s kind of pushing it, but if you keep it to a minimum and they keep you from truly cheating, I say go for it. I will say that they taste great. My children love them. Amazon is always worth looking at, although don’t assume it’s always the best price, because it’s definitely not always the most affordable place, especially with alternative foods. I’ve actually found that VitaCost about 75% of the time has the same price or less than Amazon, so that’s why it’s good to shop around. There is no going back! Once you buy this life-long investment, you'll wonder why you ever bothered cooking with anything else. It's worth every penny (although try to buy it on sale at a factory outlet if you live near one). It's almost non-stick (about the only thing I use my non-stick pan for now is eggs, breaded food and tortillas) and you can move it from the stovetop to the oven. To clean, I let it soak in hot water for 10 minutes and scrub it and it comes clean most of the time. If something sticks, all I need is a little baking soda and it comes right off. Between this and my Instant Pot, I cook at least 80% of my meals. Amazon I've really struggled trying to find a nonstick frying pan. I haven't been able to find a "safe" one that actually works and stands up to the rigors of my children. I finally settled on the Swiss Diamond pan (above), because the finish really holds up and it doesn't scratch or peel, which is the point you really have to worry the most about a nonstick finish. Another way I minimize the effects of a nonstick skillet is I try hard to use it as little as possible. I pretty much only use it for eggs or breaded foods. I use this pan for everything else. Years ago I went through three blenders in a year. It was getting expensive and I was frustrated that they weren't very powerful. About that time, Costco started selling Vitamix blenders and doing demos. I splurged and bought one. It's been very worth the money. For one thing, it's been at least five years and it's going strong and it makes the best smoothies. They are so smooth. I've seen them at a lot of restaurants and on TV cooking shows all the time. Read Reviews, Buy or Learn More Here Vitamix isn't the only good blender out there. Read more about blenders here. I've never liked grilled food all that much. It's just that it either taste of lighter fluid or propane. Other than that, BBQ food is great. After many years of searching for a better way to grill, my husband and I bought a Traeger grill. There's no going back. We love it so much. It uses wood pellets, so it's easy to use, but the food tastes so good. It tastes like wood smoked food. So much better than tasting like lighter fluid. Plus, it's versatile. You can use it for both smoking and grilling. I don't think Amazon is the best place to buy one, but you can read reviews and learn a little more about it on Amazon, then buy one at a local store. 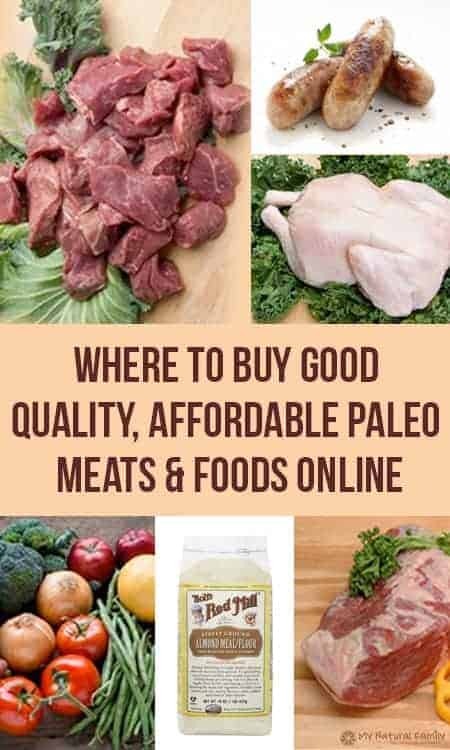 Now that you know where to buy Paleo food online, let me know how it works out for you. I’m sure I’ve missed lots of places too, so please let me know where you like to shop. I love shopping online because I don’t have to go to the store very often and the prices and selection are generally much better than I can get locally, although if you live in a large city, you probably have more access locally than I do. I love all these helpful tips. I try to buy organic everything when possible but especially meats because pesticides and toxic chemicals get concentrated as you go up the food chain. Late to the party: In reference to your favorite skillet, I have enameled stuff (like-new vintage Le Creuset, actually), but have never been a fan of it. Unless you use a bunch of fat, you’re getting sticking. I cook exclusively with regular, seasoned cast iron, and find it to be nearly as nonstick as teflon coatings. Seriously, with a tablespoon of butter in a 12″ skillet, you can slide a fried egg around. Sadly, my Creuset seems to gather dust more often than not. I’d really recommend either getting vintage iron from an antique store (it’s lighter and smoother), or just go to WalMart and nab a $20 Lodge. You’ll be super happy with it. Actually, the only thing I don’t use iron for is if I’m doing a long cook with tomatoes (think chili), in which case I use raw stainless steel pots. You sound like my sister. She LOVES her cast iron pan. I can’t quite figure it out. I LOVE my Le Creuset and rarely have to use my non-stick skillet. I think it depends a lot on your personality and cooking style and what foods you often cook. It’s good to get another opinion on here though. The difference may be that I always make sure to clean my Le Creuset after each use with a baking soda paste. It gets all the residue you can’t see that makes things stick like crazy. As long as you get it really clean, it’s a dream to cook with. I don’t cook eggs or breaded things in it and things like bacon or ground beef stick a bit but the beauty of it is if you add a little liquid to the pan then the bits come right off when cooking and make your dish have awesome flavor. Plus, I love how I can move it right to the oven. Thanks for the helpful links! Online shopping is so much easier when you’re busy. I am a newbie at paleo. Need to order online. Not much near me for local shopping.